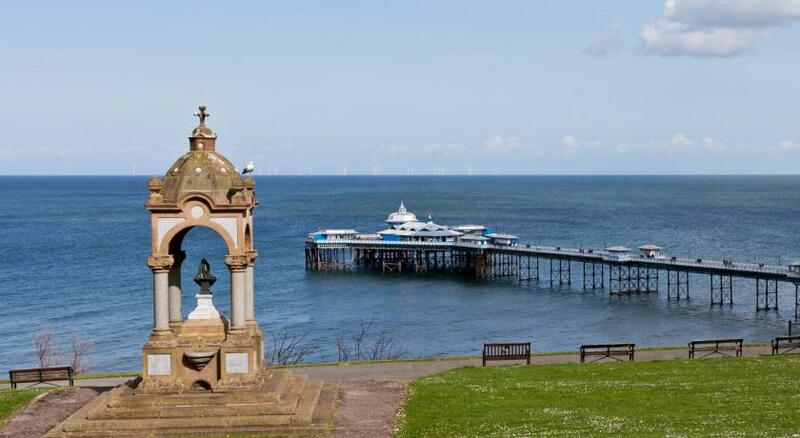 Lock in a great price for Belmont Llandudno - rated 9.2 by recent guests. The whole experience was great and food very good. Very smart and clean dog friendly hotel. Didn't dine or have breakfast but used the bar when we came back and enjoyed the convenience of its location at a quiet end of Llandudno. Staff all very friendly and our dog Alfie was given a doggie treat on departure. The staff were very friendly and helpful with suggestions on where to go out for dinner, and the hotel itself was lovely. Loved the little box of tea, coffee and biscuits in the room and the bathroom was gorgeous. Perfect location too. I booked this hotel because I knew that it had a recent refurbishment, however I was surprised to see that wear and tear was already evident. I like a room to feel that i am the first person ever to stay in the room in this case this was not so, marks on the wall, vinyl peeling from the windows and the curtains off the hooks. This really is a fault of housekeeping and management. They have been given a great building refurbished, they should maintain it. Appears to be a newly established hotel, staff very friendly and helpful. Good location and I was able to park my car in the street at the rear of the hotel, saving on parking fees, parking restrictions and time limits. A few suspect hairs on the pillows and bedding just hoping they were from the chambermaid whilst changing the bed as opposed to the previous sleeper.... Food in the restaurant was nice and again staff were attentive. Reception staff were fab, extremely helpful. Loved the little ironing board. Good lengths on the iron and hairdryer cables. Fantastic hotel with friendly staff, one of the cleanest hotels I’ve ever staid in. Do yourself a favour and upgrade to a sea view you will not be disappointed. 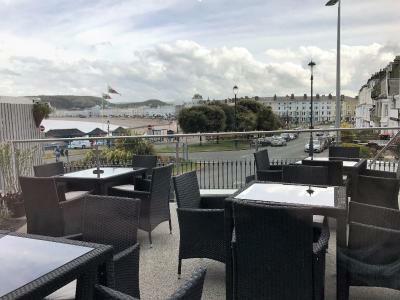 One of our top picks in Llandudno.Situated in Llandudno in the Gwynedd Region, 200 yards from Llandudno Pier, Belmont Llandudno features a terrace and guests can enjoy the on-site bar. Each room has a flat-screen TV. You will find a kettle in the room. Every room is equipped with a private bathroom equipped with a bath or shower. Extras include free toiletries and a hairdryer. Belmont Llandudno features free WiFi . The hotel also offers bike hire. Llandudno General Hospital is 1.1 miles from Belmont Llandudno, while Leisure Parks is 100 yards away. The nearest airport is Liverpool John Lennon Airport, 40.4 miles from Belmont Llandudno. 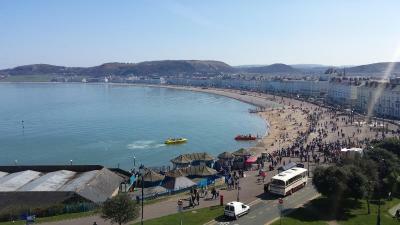 Belmont Llandudno has been welcoming Booking.com guests since 5 May 2017. When would you like to stay at Belmont Llandudno? This double room has an electric kettle. This twin room has a electric kettle and flat-screen TV. This double room features a balcony and tea/coffee maker. This double room offers a sea view and has a tea/coffee maker. This double room features an electric kettle and a flat-screen TV. House rules Belmont Llandudno takes special requests - add in the next step! Belmont Llandudno accepts these cards and reserves the right to temporarily hold an amount prior to arrival. Please note that a pay and display parking is available on the promenade between 10:00 and 16:00. 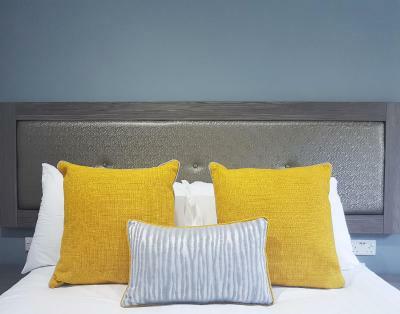 Please note that extra beds or cots cannot be accommodated in the standard double rooms. Rather tight room but functional. Stairway rather cramped and difficulty in parking my car. The bed wasn’t very comfortable to sleep in and the walls were very thin! Our room was adjacent to the stairs so very noisy. Also, very noisy people above us so insulation not great. Drinks where a little expensive, but what hotel is cheap in that regards.